So when a co-worker approached them about a business opportunity, Sanjiv was ready. “We were looking for a way to gain more personal time and increase our income,” he recalls. “At first, we told all our friends and relatives about our business. Some reacted negatively, but it only strengthened our resolve to make our business work. 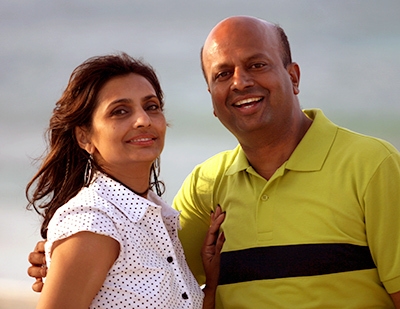 As the business thrived, Sanjiv and Shauna give their time and energy to support worthwhile charities, actively supporting Easter Seals and the U.S. Dream Academy. Both of these organizations have developed dynamic programs to meet the needs of children and returning veterans. The Sahays love having time together, and with their children—son Rohit and daughters Alisha and Shefali—at their comfortable home in New Jersey. They enjoy traveling with friends around the world.